The recent 10mn contract signed between Japan and Ministry of Rural Rehabilitation and Development will be spent towards implementation of 120 projects in the provinces of Balkh, Samangan, Baghlan and Ghor. Rural Rehabilitation and Development Minister Wais Barmak said the projects include irrigation works for enhancement of agricultural products in villages in the aforementioned provinces. “The 120 projects will be implemented through rural development councils. People will be working on these projects as the owners. They will be given job opportunities. 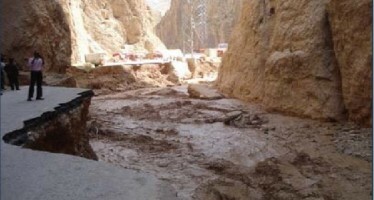 We are planning to irrigate about 16,000 hectares of land that currently lack irrigation system or receive minimal water supply,” said Minister Barmak. The contract was signed by the Asia Development Bank representative on Wednesday with Minister of Finance and Minister of Rural Rehabilitation and Development. “Japan will assist Afghanistan in its agriculture, infrastructure and capacity building sectors. I am aware of the importance of agriculture. 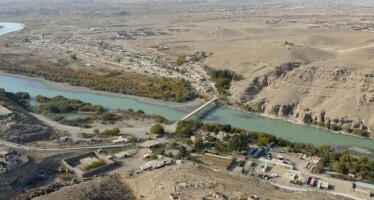 We will assist Afghan farmers with irrigating their lands. As long as we have undertaken effective projects for the irrigation sector, we can be optimistic about Afghanistan’s future,” said Sie Jee Okada, Japan’s Deputy Ambassador speaking at the ceremony. According to reports, Japan has granted millions of dollars of aid to Afghanistan in the past decade for various reconstruction projects. Japan pledged at the Tokyo Conference in July to continue its financial assistance to Afghanistan post-2014. 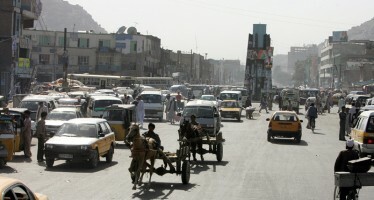 A number of Kabul residents have complained about absence of proper transportation services and high taxi fares during Eid days.